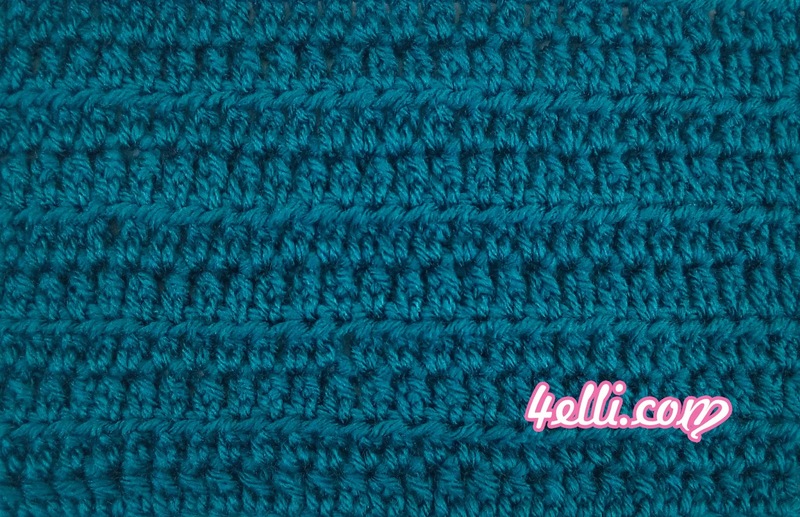 How to crochet the extended half double crochet! Row 1: 1 extended hdc into the 4th chain from hook (for extended hdc: yarn over and insert the hook into the chain, yarn over and pull through a loop-3 loops on hook- yarn over and pull through 1 loop - 3 loops on hook- yarn over and pull through all loops), 1 extended hdc in each chain across. Row 2: chain 3, turn, skip the 1st stitch, 1extended hdc in each stitch across. To finish the row: 1extended hdc on top of turning chain.